What is a moebius you ask? Discovered by German mathematician August Ferdinand Möbius. 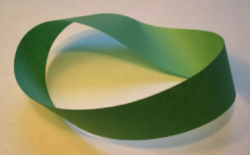 According to Wikepedia, a Möbius (or Moebius) strip, a non-orientable two-dimensional surface with only one side when embedded in three-dimensional Euclidean space. That will take you back to high school geometry class! 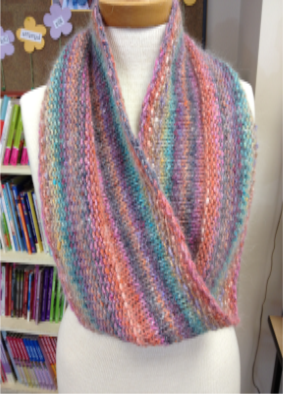 Using Cat Bordhi’s YouTube video, worsted weight yarn and a 47” circular needle, we will explore moebius knitting and begin a simple scarf.